Chief Of Staff Promised Protesting Falcons "Payment in 48hrs", 2face reacts. 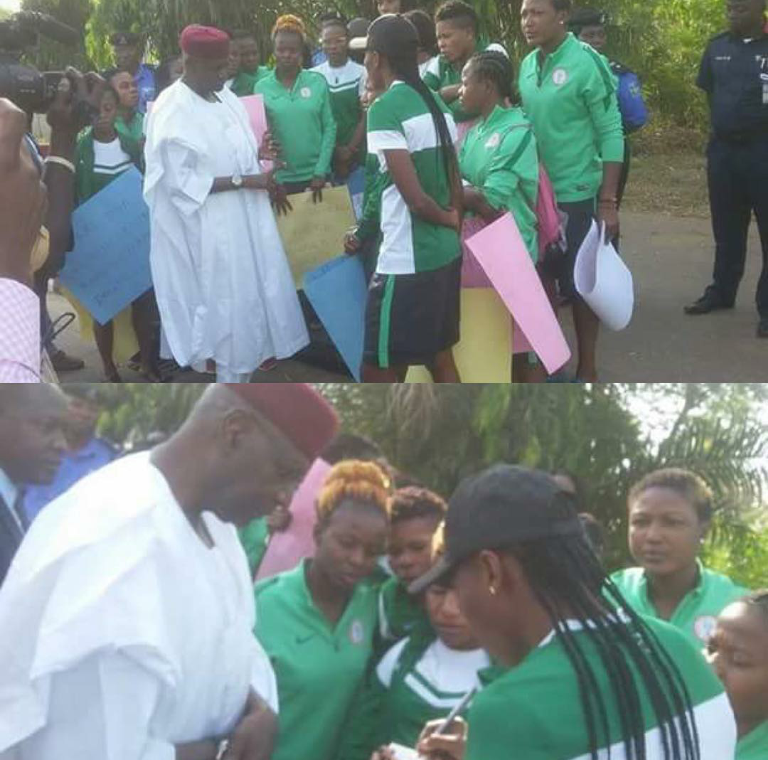 President Buhari's Chief of Staff, Kyari, meets with the protesting Super Falcons players, says they'll be paid within 48 hours. "Some people have been collecting outrageous salaries and allowances 4 doing nothing meanwhile this patriotic Nigerian girls have done us proud over and over and over and some one or some people feel say na their mouth money sweet pass or needs their money more than them. Shame on all tiers of government that have turned a blind eye on this issue. Somebody/some people need 2 be fired cos of this heartless disgraceful act. #superfalcons #africanchampions deserve better #payoursportsheroes".